Let a local show you around their town for an insider’s guide to all the best bits. Michelle Dawson, along with Josh Ingham, heads up No.4, a cosy cafe in the quaint seaside town of Robe in SA, serving a mod-Australian menu made predominantly from local produce. With an ethos of ‘sourced then shared’, this unique, community-focused cafe is adorned with artworks by Limestone Coast artist Hamish Macdonald, hosts a traditional Sunday high tea, and even has a special menu for your four-legged friend. 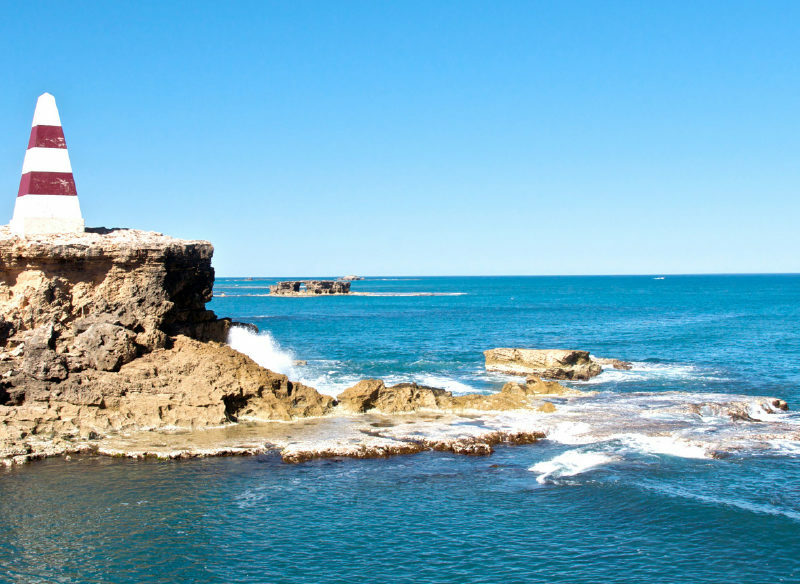 Here, Michelle shares her local secrets to having the perfect day in Robe. Just under four hours south-east of Adelaide. Located on the Limestone Coast, Robe is one of South Australia’s most beautiful historic towns with heritage-listed architecture. 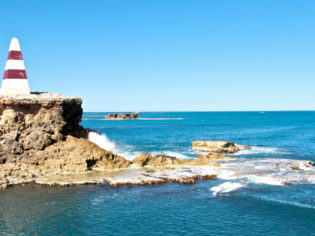 Blessed with coastal beauty including a 17-kilometre-long pristine beach aptly named Long Beach, a rugged coastline and picturesque walking tracks, Robe is an idyllic seaside break. Book a private yoga class with Pam who runs Yoga Pam. If the weather allows, she’ll take your class on the foreshore overlooking beautiful Guichen Bay. At No.4 , find us at 4 Victoria Street, we serve a seasonal brunch menu. Our signature dish is lobster scrambled eggs; the lobster is caught off the shores of Robe. Pair it with No.4’s own blend of coffee (or a cheeky breakfast martini). Robe should be explored on foot. Immerse yourself in its history; look out for plaques on the exterior of buildings providing a snapshot of days gone by. While you’re out exploring, take some time for a little retail indulgence. You’ll find most boutiques on Victoria Street, or very close to it. My faves are Holiday (10 Victoria Street), Binny (10 Elizabeth Street) and Me and Miss Jones (18 Victoria Street). Lunch calls! Sails (2 Victoria Street) is our go-to with its modern Australian menu. Open for dinner year-round, in summer they also open for lunch. Their focus is seafood, but head chef and co-owner Adam cooks one of the best steaks you’ll get in town. Robe is known for its fresh seafood. Head to Sky Seafoods (58 Robe Street) to purchase some South Australian prawns. If you ask nicely, Andrew may let you hold the giant three-kilogram lobsters he usually keeps out back. Pop into Karatta Wines’ Tasting Room (5 Victoria Street). Karatta is a local boutique winery located 20 kilometres out of town. If you’re lucky, you’ll be served by colourful character and sommelier extraordinaire Charles. Grab a bottle of chardonnay – you’re going to need it to accompany your prawns. Like many of the businesses in Robe, Robe Town Brewery (97 Main South Eastern Road) is a family-run operation. They practise small-batch brewing and produce world-class specialty ales. Venture down to Long Beach, where you can drive your car along 17 kilometres of pristine beach. Find yourself a nice spot to watch the sunset and tuck into your fresh prawns. Retire for the evening at Lucy’s Cottage, which sits behind No.4. It’s a gorgeous limestone cottage with beautiful interiors, the perfect spot to end the day with a glass of local chardonnay. Are these Australia’s ultimate glamp-sites?